There are many factors to consider when assessing the value of your alarm company, and you’ll want to consider them all carefully. After all, if you decide to move forward with the sale, you’ll want to make sure that you are able to negotiate the best terms possible and sell your company for top dollar in order to maximize your profit. What Factors Influence the Value of My Alarm Company? Though a number of factors, including equipment, technology and gross sales, influence the value of an alarm company, recurring monthly revenue (RMR) is the primary factor considered when determining a security company’s worth. 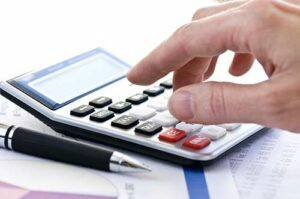 While companies in many industries are valued using the EBITDA model, which focuses on earnings before interest, taxes, depreciation and amortization, companies in the security and alarm industry are valued primarily based on the recurring monthly revenue they are capable of generating. RMR is an alarm company’s main asset and is significantly more important than an alarm company’s gross sales. Though other factors should certainly be considered, assessing RMR is key to determining an alarm company’s worth accurately. How Do I Determine the Value of My Alarm Company? The best way to accurately calculate the value of your alarm company is to work with an experienced alarm company broker. Organizations like Acquisition & Funding Services have the industry knowledge and insight necessary to provide accurate business valuations for companies in the alarm and security industry. Interested in taking the first step towards understanding your company’s value? Contact us today! How Do I Increase the Value of My Alarm Company? If you’d like to maximize the value of your alarm company in order to sell it at a premium price in the future, there are few key best practices to follow. 1. Be sure that you are generating a significant amount of RMR. This will increase your alarm company’s profitability, thus increasing its value. 2. Keep careful track of your contracts and maintain consistent customer contact. 3. Work towards developing a diversified account base. Be sure to maintain both residential clients and commercial clients and offer a variety of products and services. 4. Review your organization frequently and thoroughly in order to stay on top of any issues or weaknesses that may cause the value of your company to decline. How Can I Sell My Alarm Company For Maximum Profit? When you’re looking to hand over the reins after years of building your business’ value, it’s reasonable to want to earn top dollar. Understanding what your company is truly worth is just the first step towards a successful and maximally profitable sale. From having a succession plan in place to understanding the current state of the market, there are a number of important steps to take and things to be aware of as you approach the sale of your company, especially if you want to sell for maximum profit. How to Sell Your Alarm Business for Maximum Profit – Get our 5 most important tips for earning top dollar when you sell your alarm business. How to Maximize The Profitability of Your Alarm Business Sale [Webinar Slides] – Download exclusive insight from Rory about how to make the most when you sell your alarm company. Find Out How Much Your Alarm Company is Worth! Contact AFS today to find out how much your alarm security company is worth. AFS will work closely with you to determine exactly how much your alarm company is worth. With decades of experience in the security alarm industry, Rory Russell can provide you with a comprehensive analysis of your alarm company’s assets. 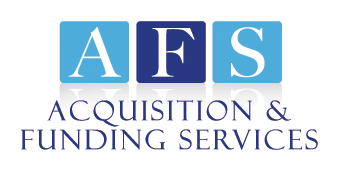 What’s more – if you decide it’s time to sell, AFS can facilitate the sale of your company to one of their qualified buyers. Contact AFS today at (800) 354-3863 (Rory’s personal cell – 24/7 availability) for more information or to request your no obligation business valuation. Interested in learning more about the business valuations we offer? Find more details on the analysis we provide regarding what your fire or security alarm company is worth here. Want more information about when to sell your security alarm company? Download our FREE eBook for insider insight about how to sell your alarm company for the right price at the right time. Looking for tips on how to sell your alarm business for maximum profit? Download our FREE webinar slides for more details on how to attract a qualified buyer willing to pay top dollar for the business you’ve worked so hard to build. Editor’s Note: This content was originally published in 2015 but has been updated as of October 2018.